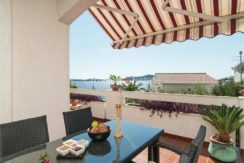 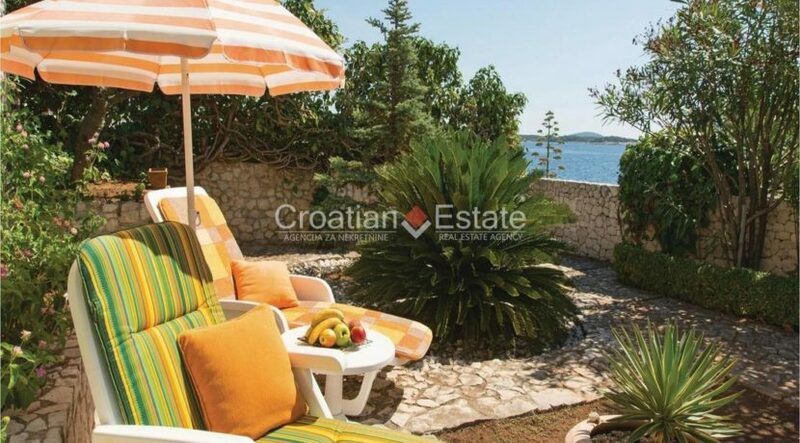 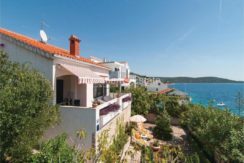 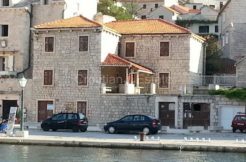 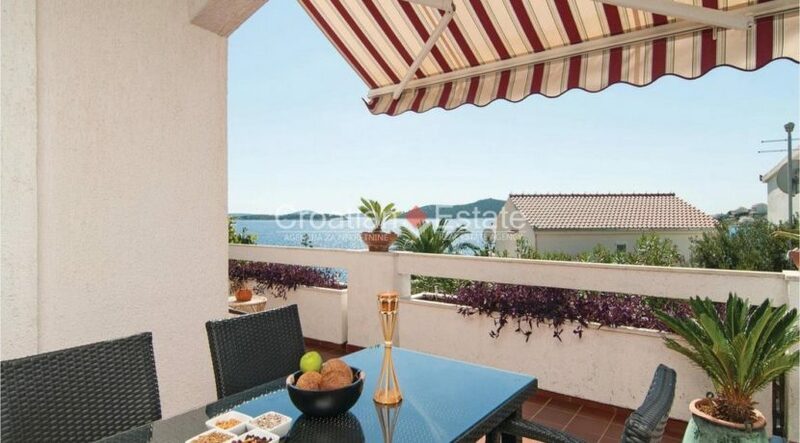 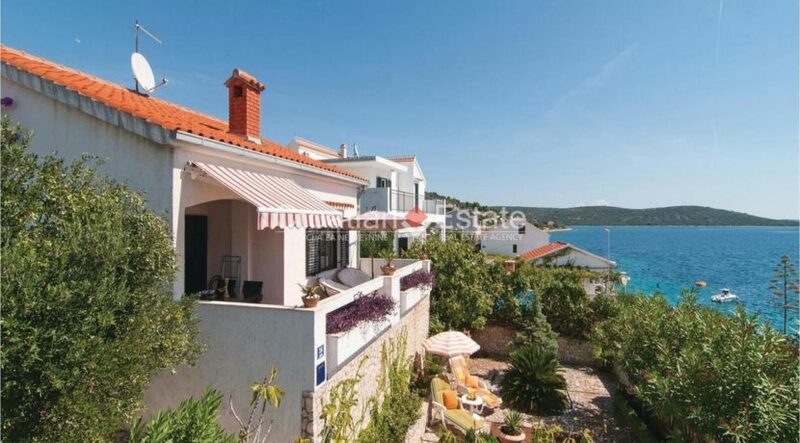 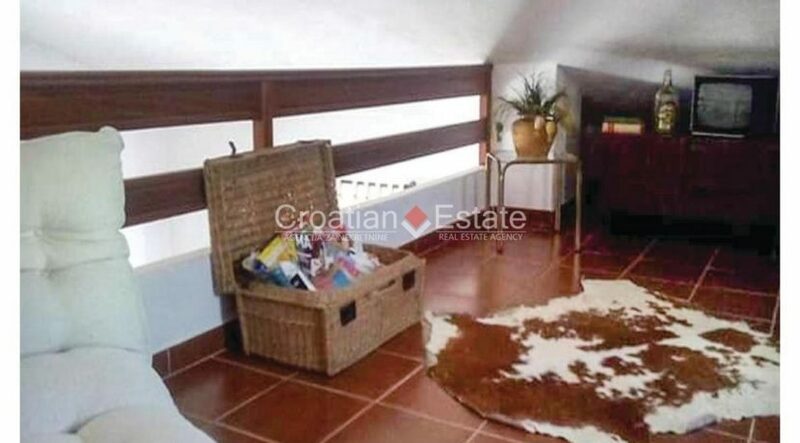 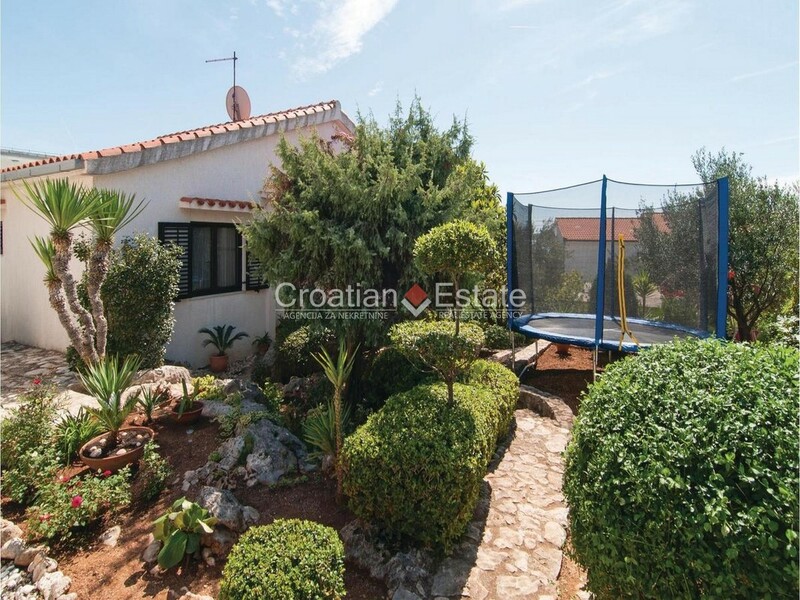 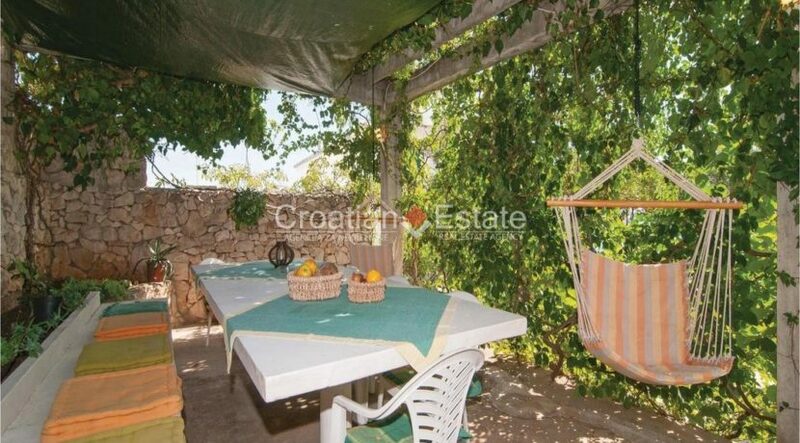 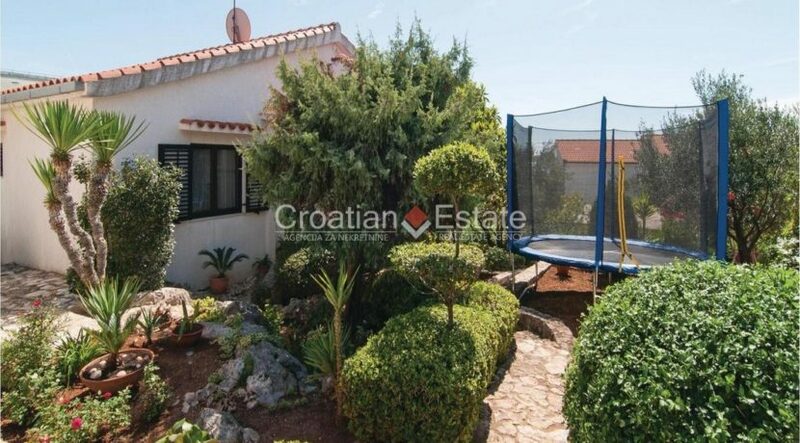 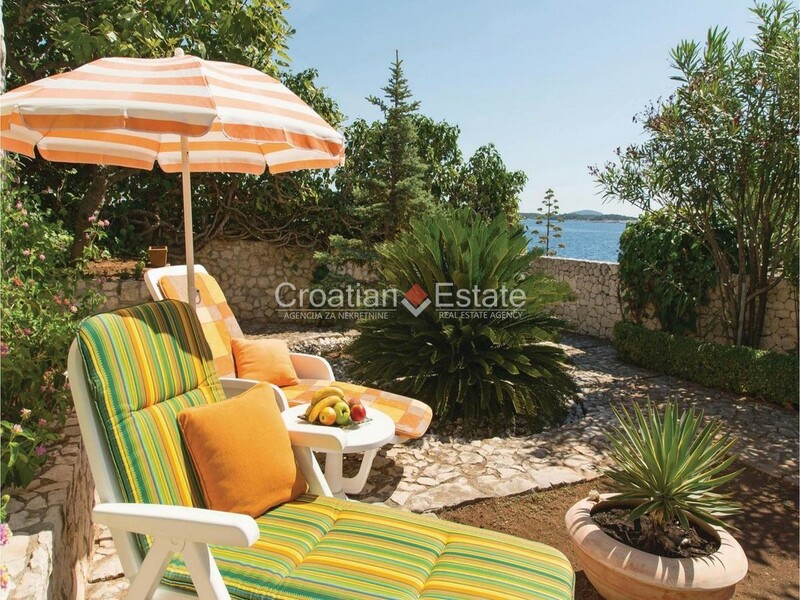 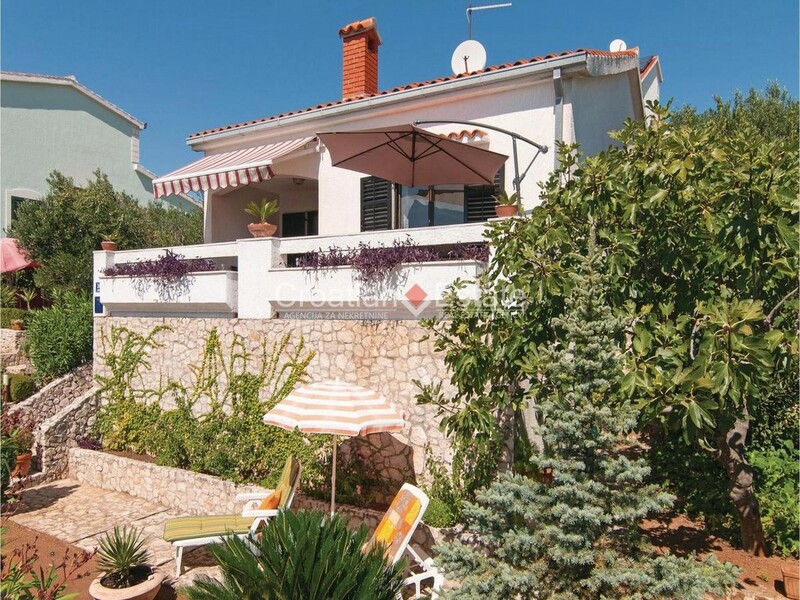 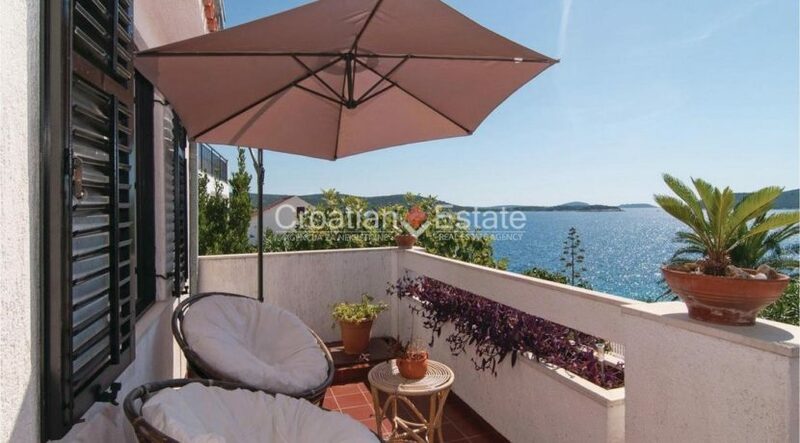 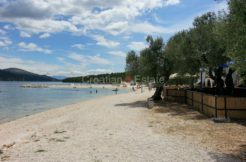 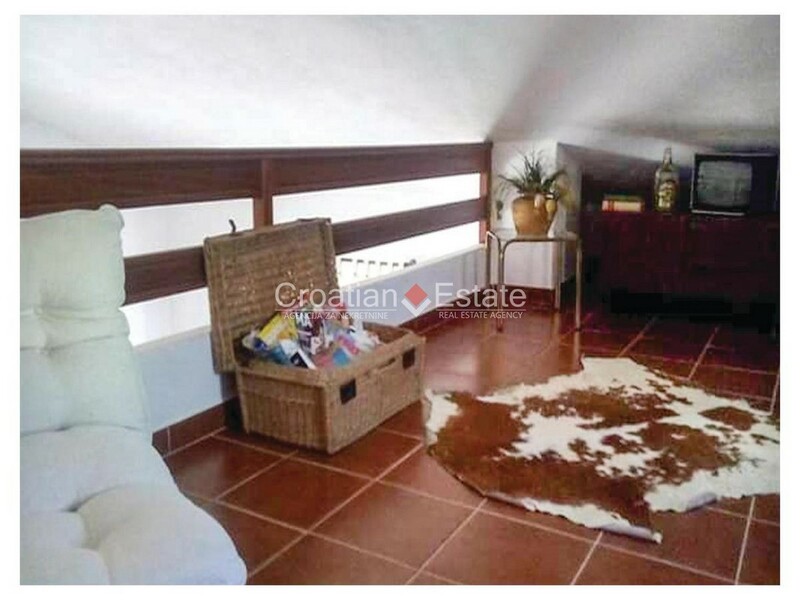 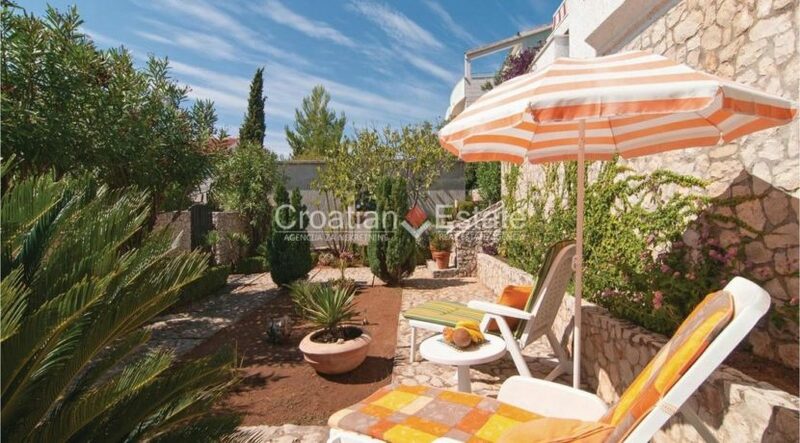 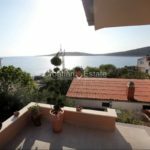 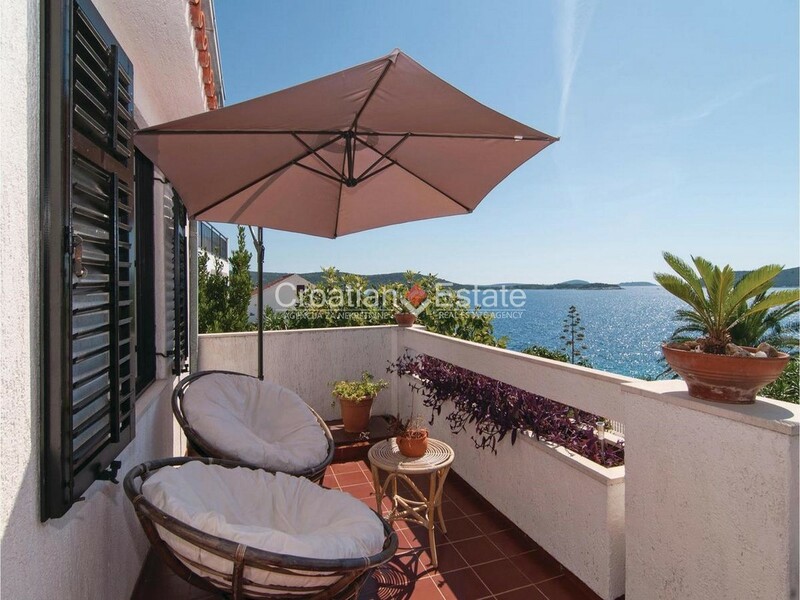 House for sale in the second row to the sea in a quiet bay with an open sea view. 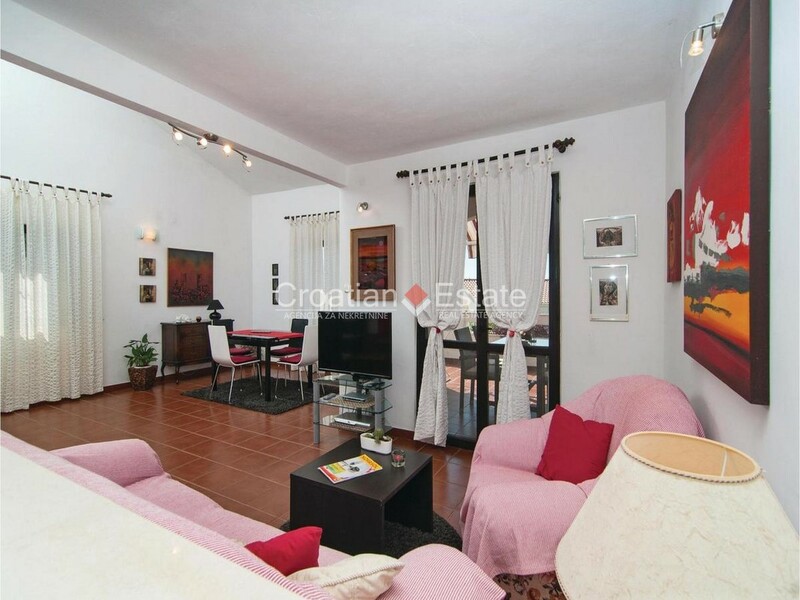 The house of south orientation and surface of 126 m2 is located on a land of 640 m2. 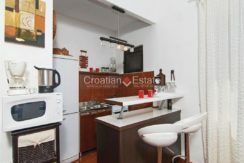 It consists of a kitchen with living room, two bedrooms, one additional room, two bathrooms and a spacious terrace with a beautiful sea view. 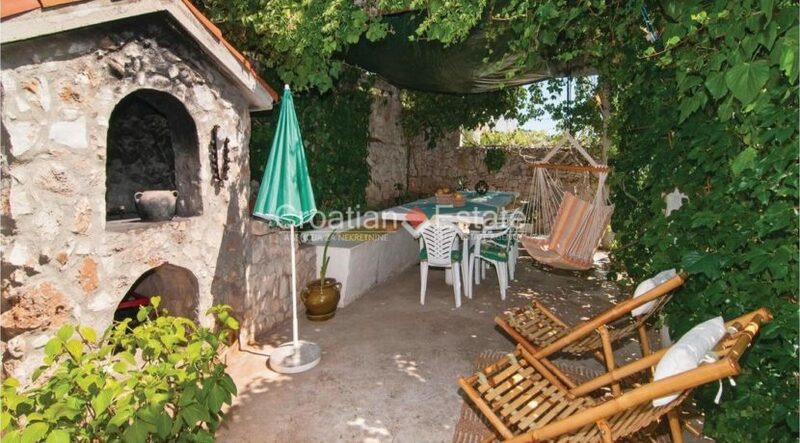 Below the terrace there is a tool storage, and the house also has a garage of 25 m2. 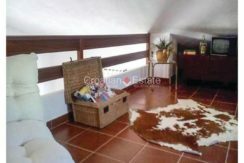 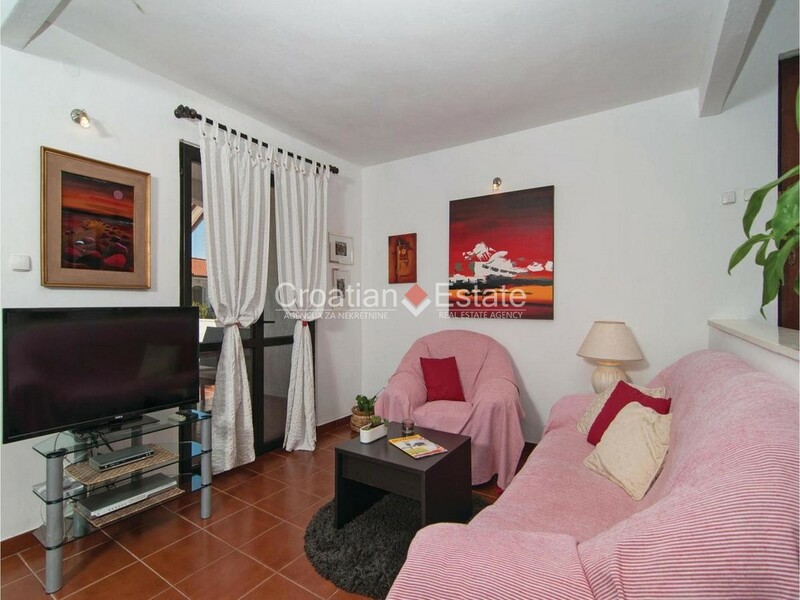 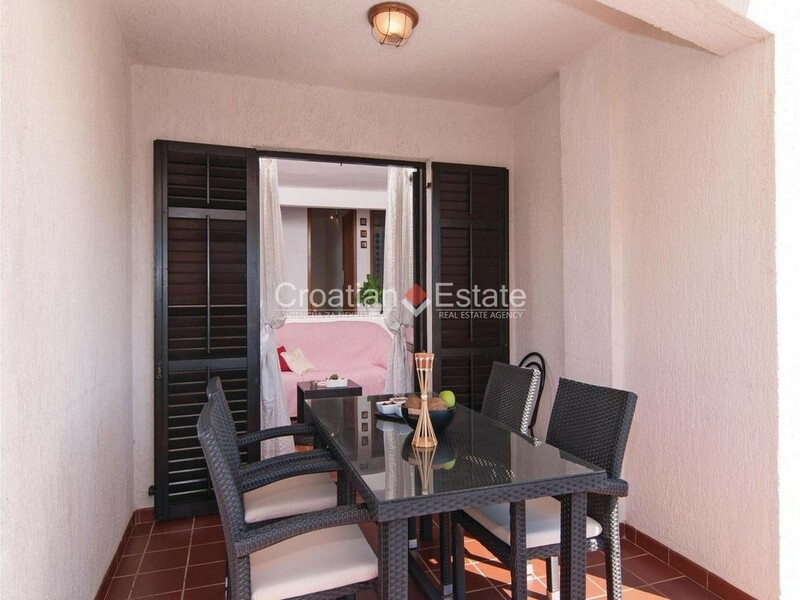 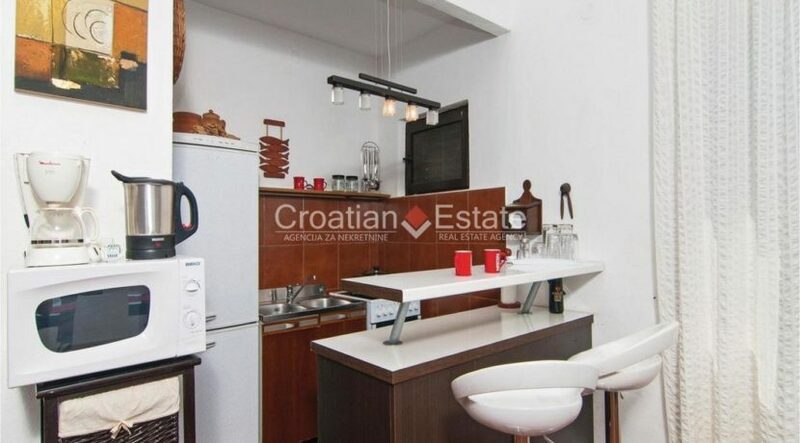 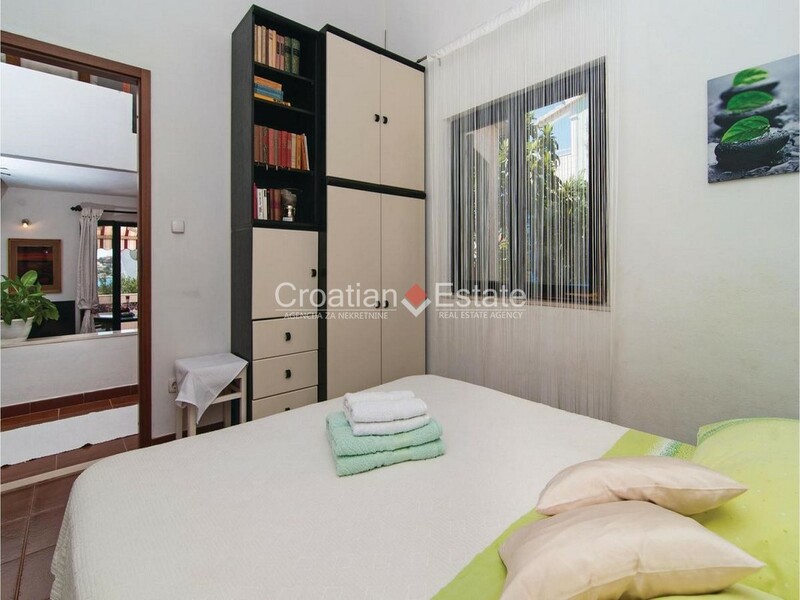 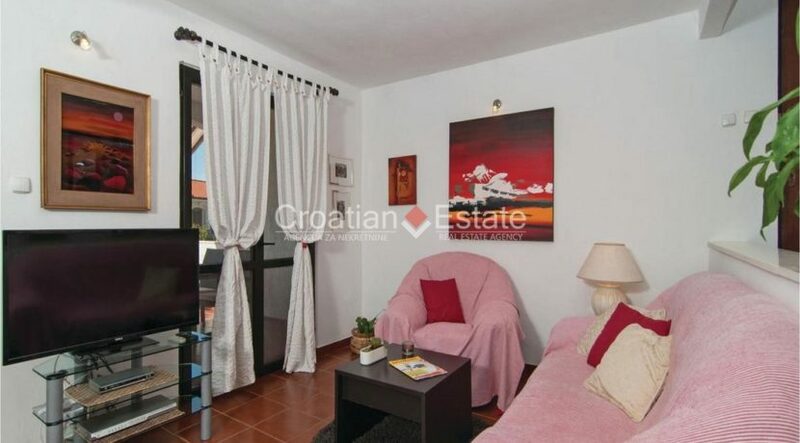 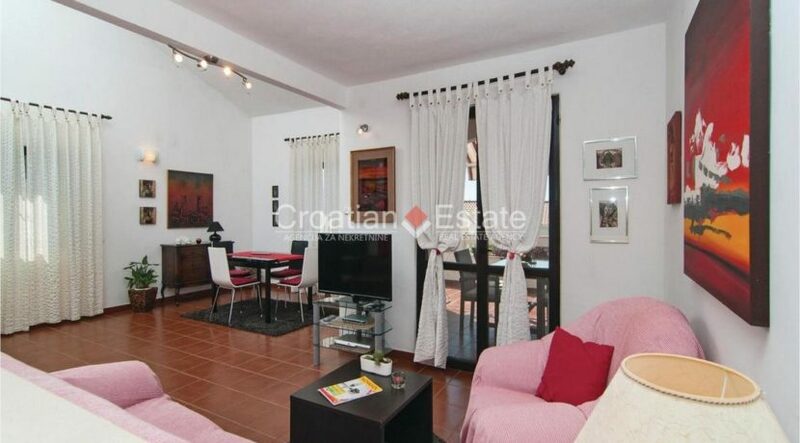 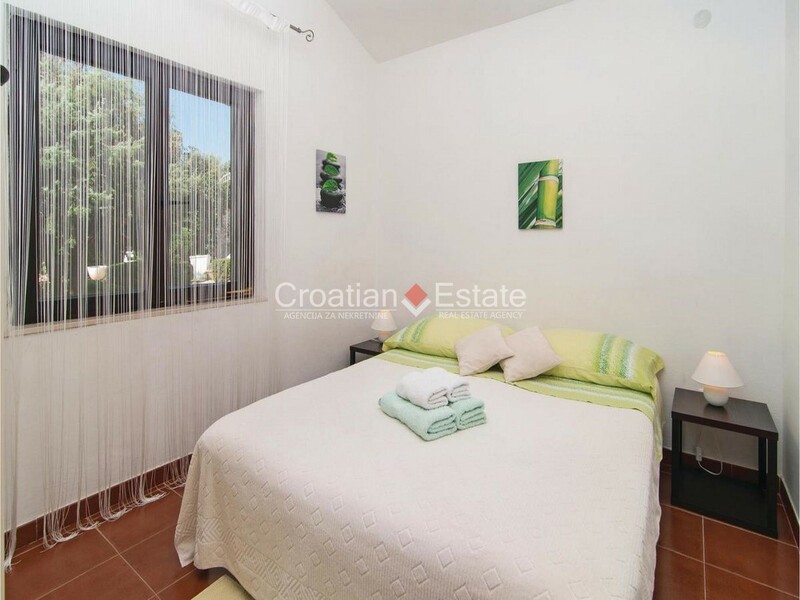 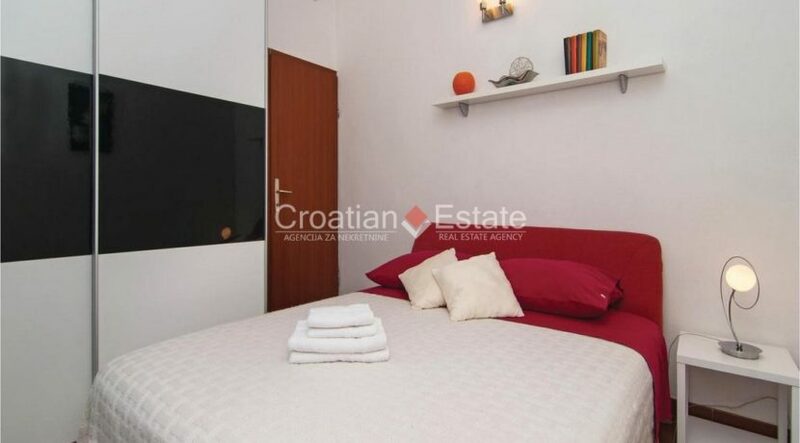 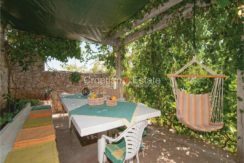 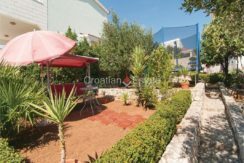 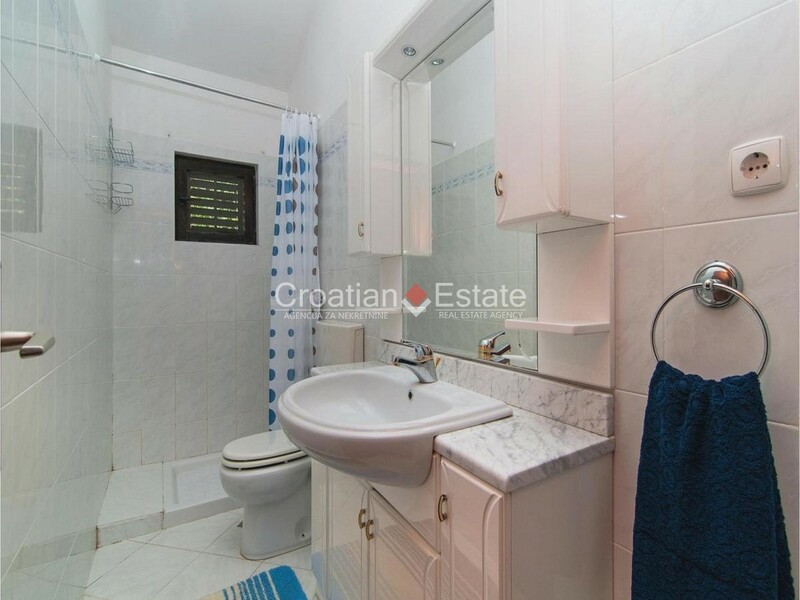 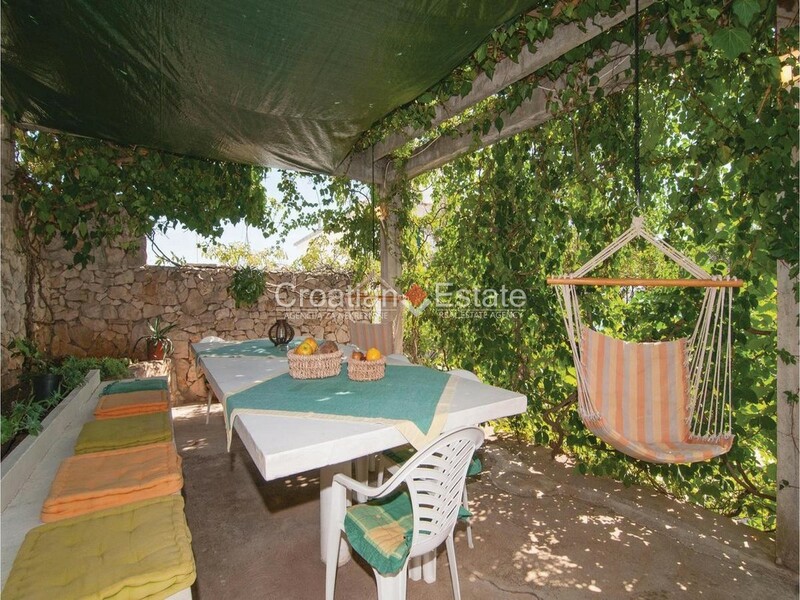 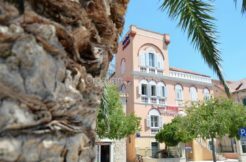 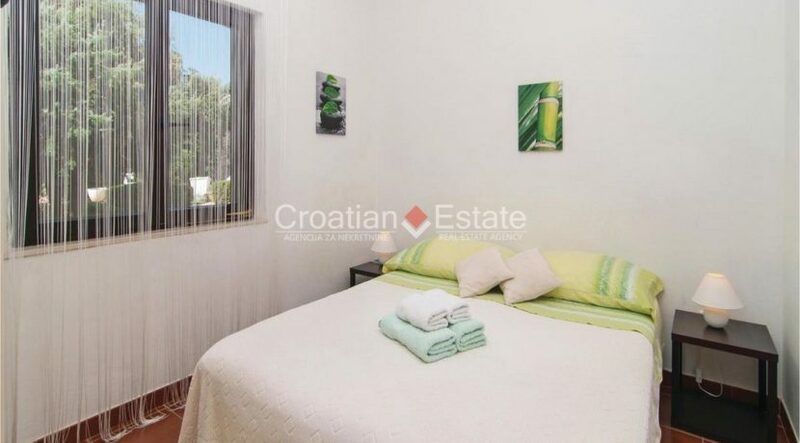 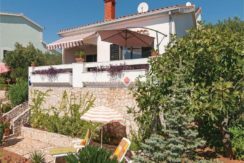 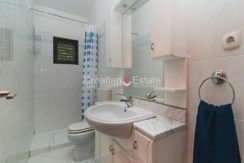 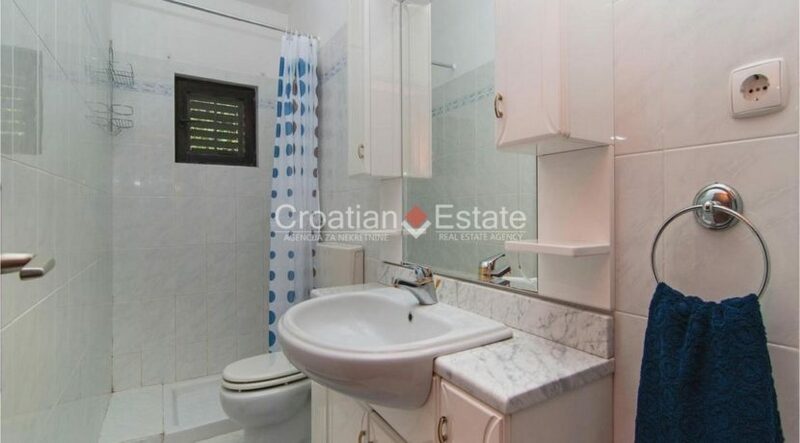 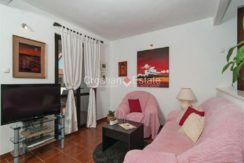 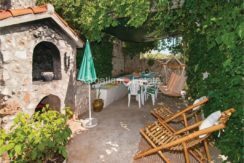 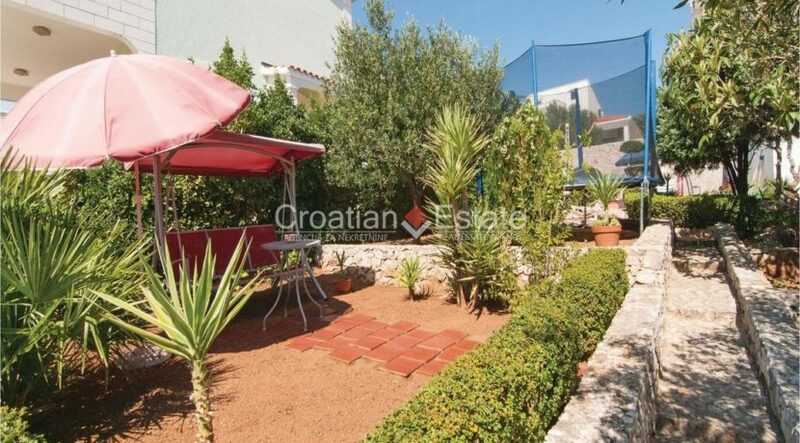 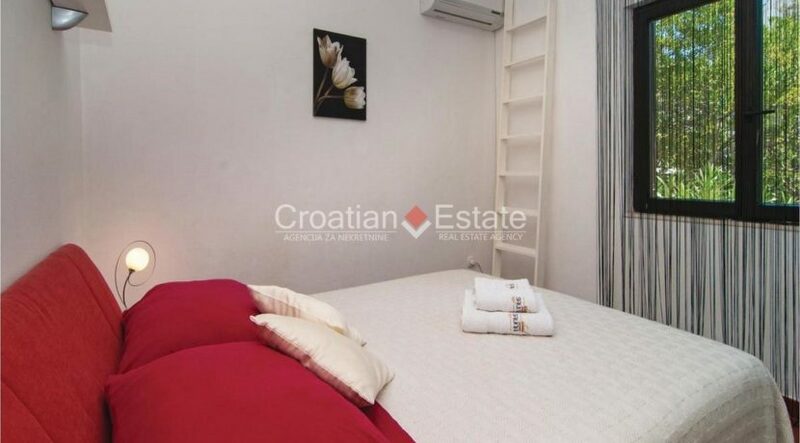 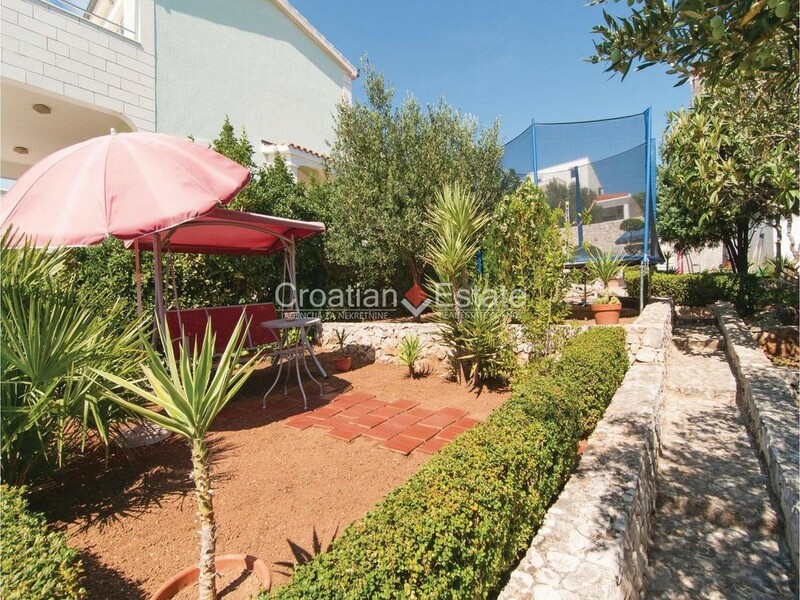 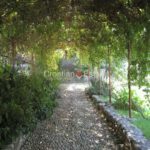 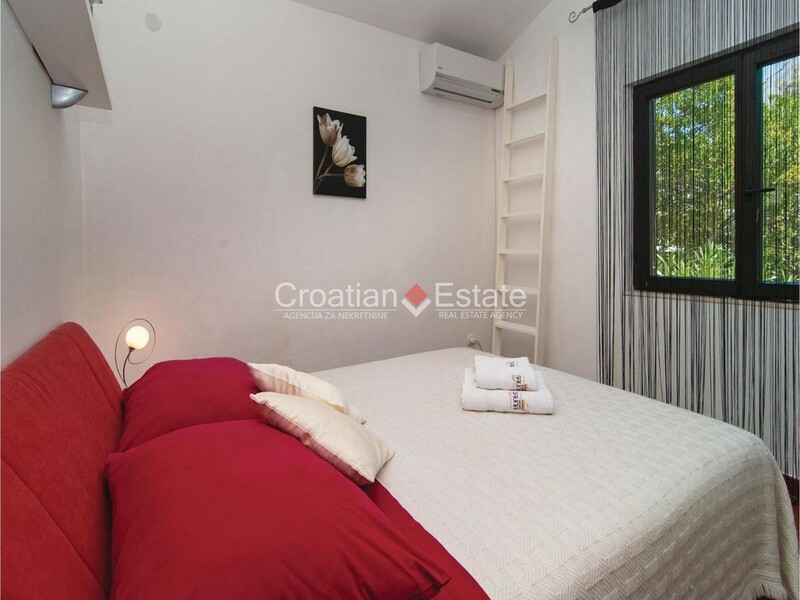 In the yard there is a small detached house with a floor area of 20 m2 which serves as an additional apartment. 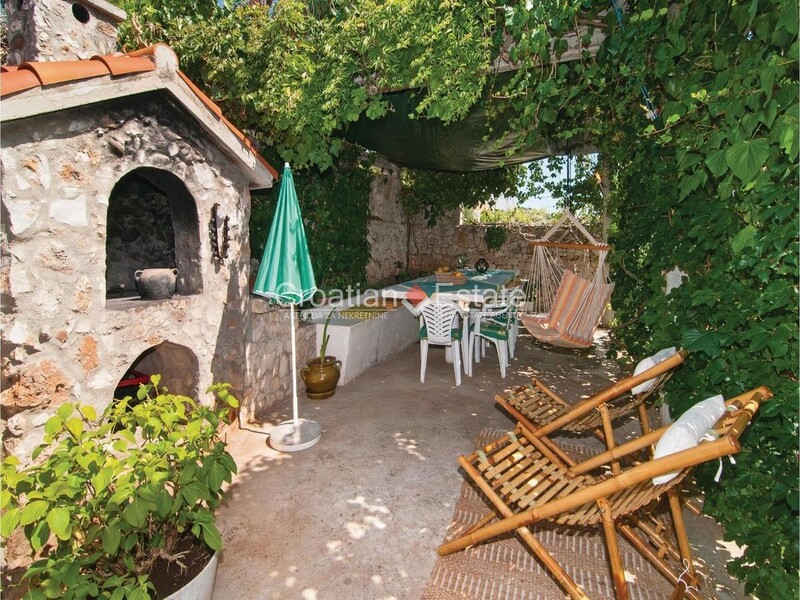 The yard is beautifully decorated and cultivated with many flowers and Mediterranean herbs. 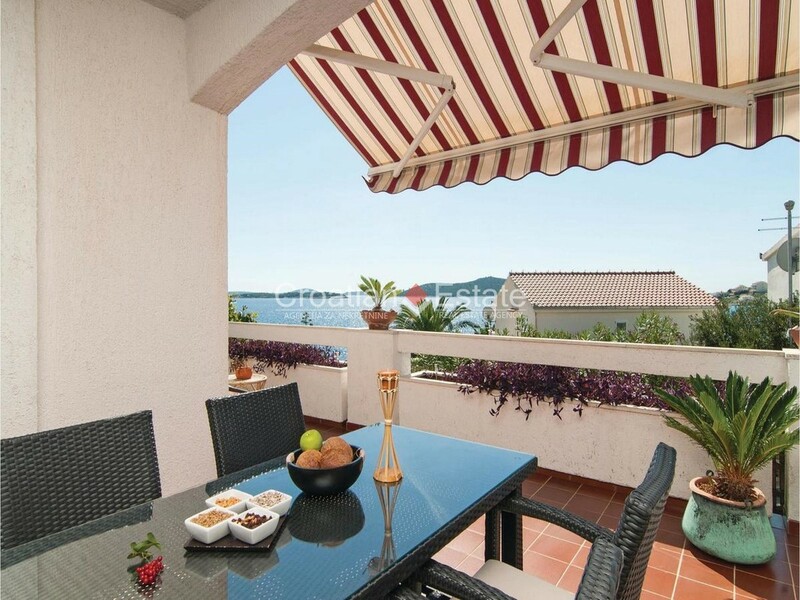 Here is a barbecue with dining area as well. 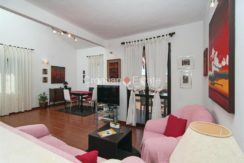 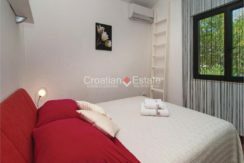 The house is fully furnished and the furniture is included in the price. 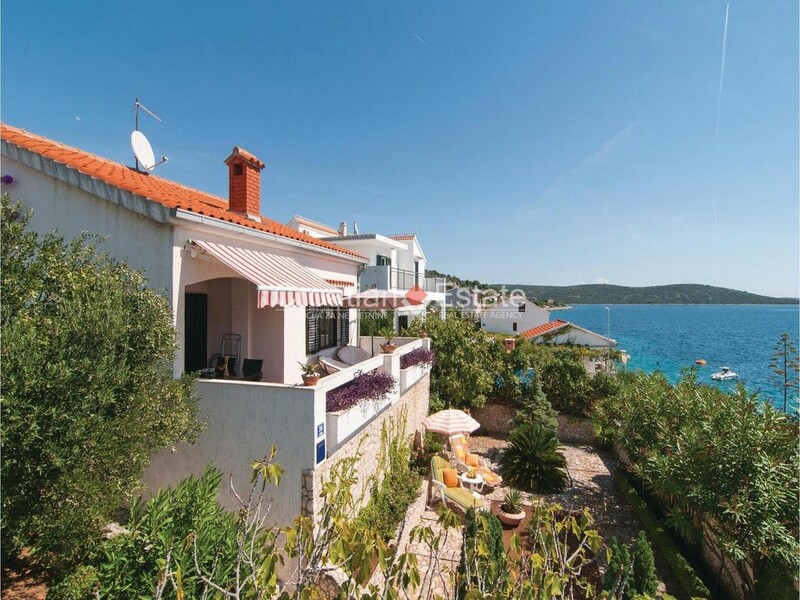 Distance from the beach is approx. 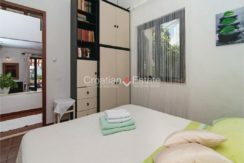 20 m.